Once you reach retirement (or the date at which payments start if this is different) your pension will be described as being ‘in payment’. From this point, you will receive regular payments of your pension in one of several ways. The way in which your pension is paid will depend on the individual arrangement you have with your pension provider. The majority of individuals will receive the State Pension, and so it is useful to look at the payment process for this first. Normally the state pension is paid directly into a bank or building society account, using a method known as Direct Payment. This system replaced the previous norm whereby pensioners would receive cash from a Post Office counter. The government says Direct Payment is a more secure method of pension payment. There are some restrictions on the type of account that can be used to receive Direct Payments. The government suggests that a regular bank or building society account should be used, as they allow instant access to your cash as well as the use of debit cards and chequebooks. Furthermore, some bank and building society accounts continue to allow users to withdraw money over the counter at a Post Office; few banks still offer this service, however, so you will need to shop around. Alternatively, it is possible to open a dedicated Post Office card account. These were designed to cater for those who do not or cannot have a bank or building society account, and can only be used to receive the state pension and other benefits or tax credits. Finally, you also have the option to open a National Savings Easy Access account, which acts exactly like a savings account from a high street bank. An account of this type can be used to receive any kind of Direct Payment. Opening a high street bank account should be an easy process, although you should remember that you will generally need two forms of identification. Opening a Post Office Card account, however, can be more complex. In order to apply you must have a letter of invitation, which can only be acquired from the Department for Work and Pensions. The frequency with which your state pension is paid will, to a certain extent, be left up to your judgement. When you reach retirement age and the payments that you are forecasted to receive are over £5, you will be offered the choice between having your pension paid on a weekly basis, every four weeks, or every 13 weeks. If you will receive payments of £5 or less, however, these will be paid on an accumulated annual basis. If you also receive a personal or occupational pension, the way in which this is paid will depend on your particular provider. These types of pension tend to be paid at the end of each banking month, and you will almost certainly receive remittance advice with your first payment. This will also show any tax that has been deducted via PAYE. For more information on the way in which a personal or occupational pension will be paid, you should contact your provider. 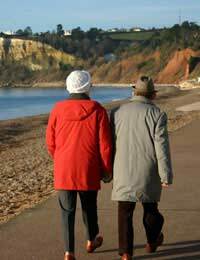 The basic State Pension is usually paid four-weekly in arrears. Please see gov.uk link here. my state pension is at the moment 2 days overdue at my bank.Is their any reason for this? I was recently contacted by p.o.i.s. informing me that I had opted out of state pension in 1987. I did not know this. Now I have a pension pot of nearly £3000 which they hold and invest in the stock market. Apparently I cannot touch this until I am 55 years old. Can I get it earlier? Also, if I have to wait until 55 can I take the money out? And who do I contact for advice? I have a question that to which I cannot find an answer on your website. Currently my pension is paid weekly but I now want to change to it a 4 weekly payment. How can I do that? I took early retirement from teaching in 2002 and decided to leave the Uk to live in Asia and my teachers pension has been paid into my uk bank account since then.Unfortunately I have not informed the tax office of my movements.I am now (since September 2011) entitled to State Pension but have not claimed it - choosing to defer it for one year.Since April the total of monthly tax I pay has increased considerably, can anyone explain the reason for this? DWP (Pension Service) as at June 2012 only want to pay my State Pension Fortnightly in arrears even though I asked for WEEKLY payment.